& Your Room Is FREE! This Offer Must Be Booked By November 30th!! Valid For Travel From Now Until July 2011.
and no payments until 14 days before arrival! lower total price among the group so everyone pays less! $750 per person for 7 nights! Can't find 2 other couples? Want for nothing, wish for nothing. The Jewel Pool Concierge will pamper and surprise you throughout the day with skewers of fresh fruit, a misting of cool, eucalyptus-infused water and ice-cold face towels. Not only will your concierge greet you at your cushioned blue lounge chair, he will also swim to your pool float and offer you the same refreshing service. On special nights, The Jewel Dunn’s River Resort shows romantic films that you can watch from your pool lounger. Special treats like Jamaican Jerk Popcorn will make you feel like you are at the theater – but so much more fun. Guests of The Jewel indulge once each week an 8-course, candlelit meal served on the pier. Of course there is no extra charge for this special dinner – it is part of The Jewel’s all-inclusive services. Each day, we create a new batch of handmade rum punch with flavors such as Jamaican Ginger, Lychee and Satsuma. The rum punch is passed freely throughout the day and night, and it’s deliciously addictive qualities will have you anticipating the next day’s flavor! (Rumor has it Friday’s Gem is made with overproof rum.) Don’t miss the afternoon bartending classes where our mixologists reveal the secrets of each Gem. 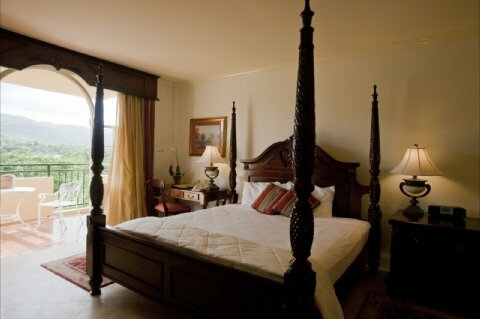 With various types of room categories including Concierge and Butler suites. You and yours truly can enjoy outstanding ocean views or lush and secluded garden & mountain views. All rooms boast mini-fridges fully stocked with beer, soda and water at no additional cost. 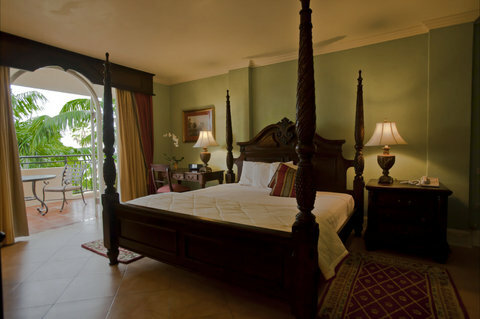 You will also receive nightly turn down service as part of the luxurious amenities of being a guest at this resort. This resort is also only 1 mile from Jamaica's famous Dunn's River Falls. This is your chance to visit what is sure to be one of the best, if not the best, resort in Jamaica for a very low price. Trust me, prices for this resort will go UP come this time next year, so take this opportunity and SAVE BIG $$!